The ideal buoy or fender for a variety on applications. This product ships deflated. Polyform valves can be attached to an air pump and inflated using: 1) a Polyform Inflation Adapter with any standard tire pump connection, 2) a tapered nozzle blow gun, or 3) a Polyform speciality hand pump. Brand: Polyform | Manufacturer: Polyform US Ltd. 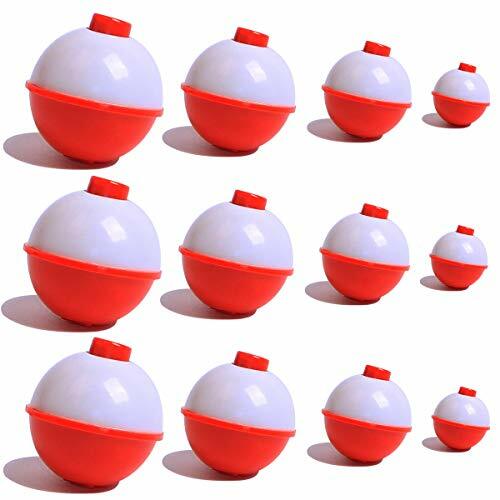 The Best Buoy is ideal for marking underwater structure and fish. When used with a depth finder, simply identify structure or fish, unlock the weight and toss Best Buoy overboard. The Best Buoy will unwind by itself until the weight hits the bottom. Harness Buoy connects any drift sock to your boat. Has a rubber coated stailess steel clip makes it easy to secure and release. 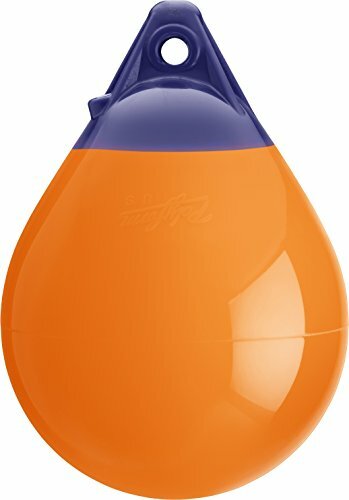 Blaze orange buoy will be sure to get the attention needed. Also comes with a 20' dumpline making this piece a perfect addition to any boat. Ou have a passion for the sport. And so do we. That's what's made us the world's leading fishing tackle company. Passion. Berkley is the premium brand of fishing tackle that fuels your passion for fishing, offering the broadest array of innovative solutions developed by anglers who share your commitment to the sport. At Berkley, our goal remains surprisingly simple - to make fishing fun and help anglers everywhere to Catch More Fish! Our leading edge technology has resulted in performance advances in fishing lines, soft baits, hard baits, fishing rods and terminal tackle. Berkley makes good anglers GREAT and great anglers the BEST! At Berkley we take fishing seriously because we are first and foremost - anglers ourselves. 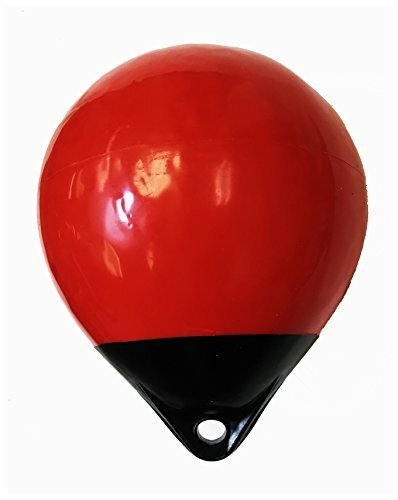 Promar Crab and Lobster Buoy Trap Floats are top quality commercial grade quality. Closed cell foam doesn't absorb water and won't degrade into the ocean like Styrofoam and other poor quality floats will. Mark a hot spot and find it again at a glance! 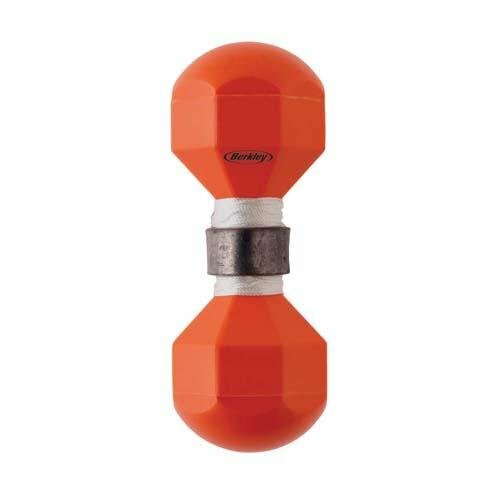 The Lindy Tournament Marker Buoy Rack has a barbell design that features internal ballast weights for resistance to walking in wind or current. 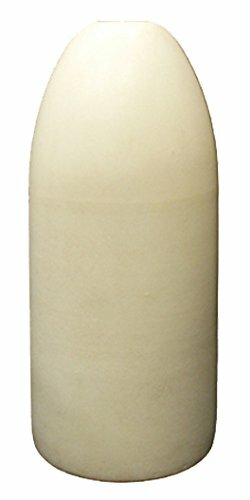 This high-impact styrene marker includes weight and 60 ft of rot proof cord. 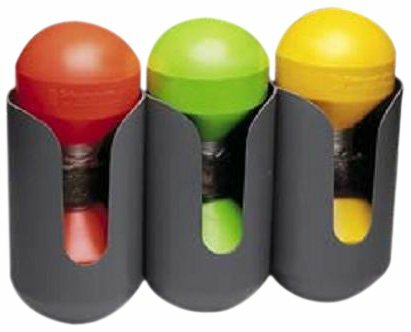 The Pack enures quick and easy acces to three hot-colored, high-visibility buoys for creating one's own marking system! This is a float that can keep accessories afloat when dropped overboard or prevent important accessories from getting lost when kayaking. Attach one clip on your belt, deck pad eye, PVC D-ring or seat strap belt loop anywhere you want. Lightweight and compact, very easy to carry. 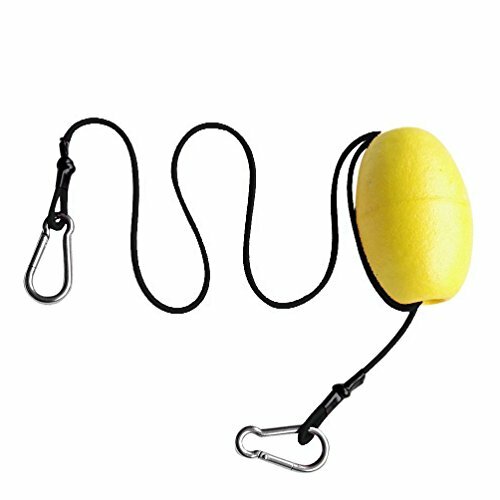 A great accessory for kayak or boat to anchor. HANDY & CONVENIENT: Humanized hands-free lighting design, cool fingerless glove with 2 LED lights on index finger and thumb. No more struggling in the darkness to find lighting or getting frustrated holding a flashlight for a flash of light while working on something that requires both hands. FLEXIBLE & WATERPROOF: Made of high quality durable elastic fabric material and breathable Velcro that's light weight and waterproof. 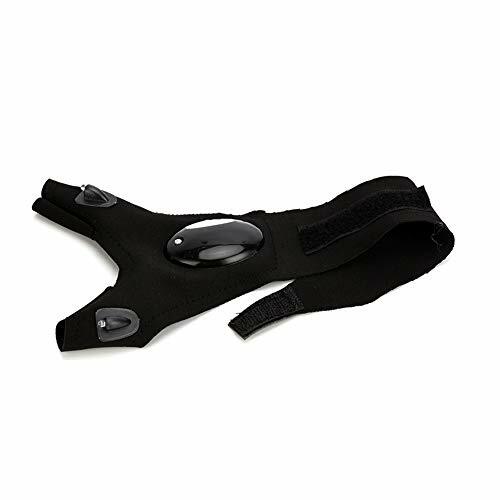 Can be stretched to fit different hand sizes for men and women, or even be worn on top of gloves, yet still comfortable to wear with very little sense of restraint. MULTI-FUNCTION: Useful tools that can be used for many activities during night time or in the darkness such as car repairing, fishing, camping, hunting, patrol, cycling, biking, pluming, etc. EASY OPERATION: LED lights turns on and off by pressing the white button, powered by 2 x CR2016 button batteries (included) that can be replaced easily by loosen the screw with a screwdriver to open the battery cover. Replace flashlights with these fingerless mitts accessories, select left hand, right hand, or both. Nrpfell is a legal brand which has already been registered. Unauthorized sellers are not allowed to sell products under Nrpfell. Nrpfell is dedicated to provide customers with high-quality products and best after-sale service. With Nrpfell, you will gain unprecedented comfortable shopping experience. Fly Fishing Strike Indicators Football-Shaped/Bobber Our foam indicators are easy to use and will always float. These indicators' outside coating contains fluorescent powder to make them more visible. The fluorescent powder may rub onto certain surfaces; this is normal. 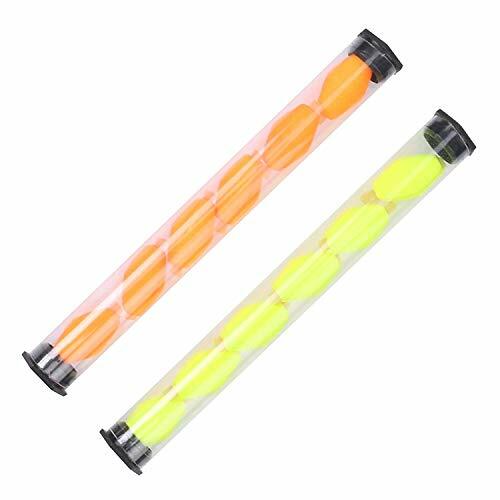 Color: Orange + Fluorescent green Material: PEV Package Contents: 1 box * Orange Strike Indicators 1 box * Yellow Strike Indicators Only the above package content, other products are not included. Note: Light shooting and different displays may cause the color of the item in the picture a little different from the real thing. The measurement allowed error is +/- 1-3cm. Very popular for fly fishing. 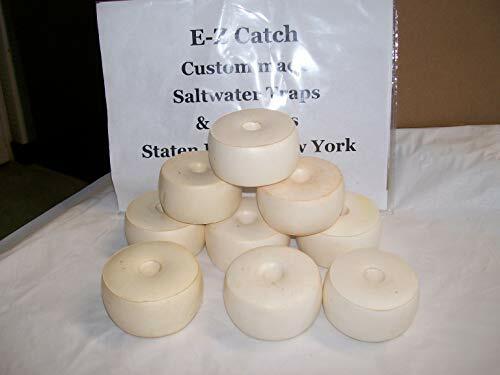 ECO-FRIENDLY PVA MATERIAL: Non residue bait bag is made of PVA starch material, which can fully dissolve in cold or warm water in short time with no residue, thus environment friendly. This bait mesh bag brings no harm to the surroundings, environmental protection and can help to improve soil. PRACTICAL FISHING TACKLE: Water soluble baits bag is suitable for fishing bait. 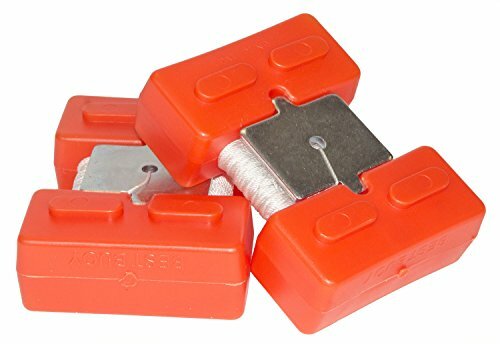 Use it to load fish bait, and the hook is hidden in the bait pile, carried on the hook, thrown into the water. When the fish comes to eat the bait it will inhale the hook. 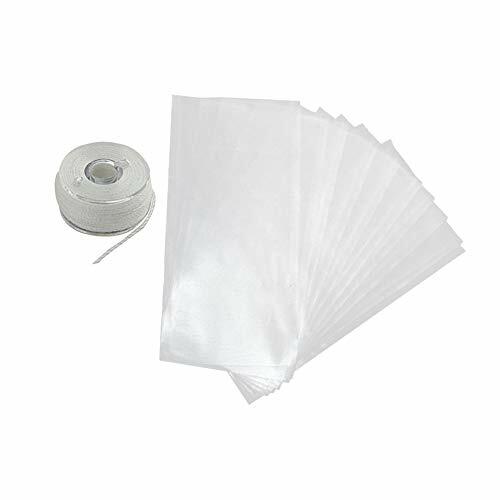 VALUABLE PACKAGE: Comes in a pack of 50pcs PVA bags, they can perfectly fits your daily needs. You can easily carry them with and enjoy your fishing time better. When fishing with this mesh bag, you could add some heavy objects to help its quick sinking, such as little stone. HIGH QUALITY WORKMANSHIP: Fast dissolving lure bags are 100% new and excellent quality. Unique special PVA yarn features a strong self-pulling force and will not scatter the bait when casting the lure in fishing.